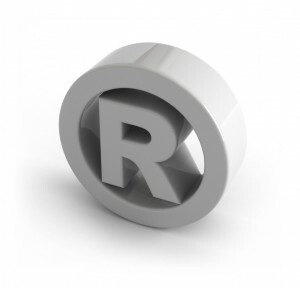 Determining your business’ approach to protecting its trademark can be most effectively done through a qualified trademark lawyer’s search and clearance opinion. These searches and opinions can save time and money for many businesses. But what exactly is a clearance search and opinion for trademarks? There are thousands of businesses across the country – hundreds of thousands globally. This means that there is a possibility that your brand, the trade or service you want to distinguish from others and protect, might already be someone else’s. An Intellectual Property attorney’s job is to see that they find a way to protect your IP. To do this, they search a variety of sources to see if your business can still receive protection regionally, nationally, or beyond, based on a host of criteria. Pepsi-Cola makes the same soda, but they have a different brand, a different logo, a different slogan: all of that is just as protected as their competitor. A clearance search and opinion will determine whether your mark is distinguishable from others in your field, as well as others outside of it. Two companies might have similar names but be in completely different industries. An clearance opinion will inform you, the client, about the results and offer you the best course of action based on those. There are generally two types of opinions, and each has their purpose. Knock-out / Exact match – These are straight forward searches relying on databases like the USPTO and state secretary of state offices. Generally these searches are intended to check for obvious issues, before deciding on whether to take some future action such as a formal clearance search. These opinions are limited in scope and do not provide some of the protections available when a more thorough search and opinion is conducted. Pricing: Exact Match searches are generally provided on a flat fee basis of $300 (and are also included with all registrations). Formal Clearance Opinion – The search search necessary to create a Clearance Opinion is a much more thorough than for a initial screening search and are generally conducted by third-party vendors. The results of these searches are then reviewed by an attorney and a formal written opinion is provided identifying relevant risks and potential solutions. The benefits of a properly conducted Clearance Opinion is that in many jurisdictions the opinion can be used to show the good-faith of the party adopting a mark. This good-faith can then be used to limit potential liability and, in some cases, reduce the chance a court will find there is a likelihood of confusion between the marks. Pricing: Most standard opinions are $400, plus the cost charged by the search firm (varies depending on service used). Additional searches may be required for multiple classes and specialized industries. Kunkle Law, PLC provides both types of opinions and can customize these searches to specifically address your companies needs.